Paul Jorgensen of George Washington announced his intent to transfer on Monday afternoon according to CBS Sports. He will have two years of eligibility remaining after his two-year tenure with the Colonials. 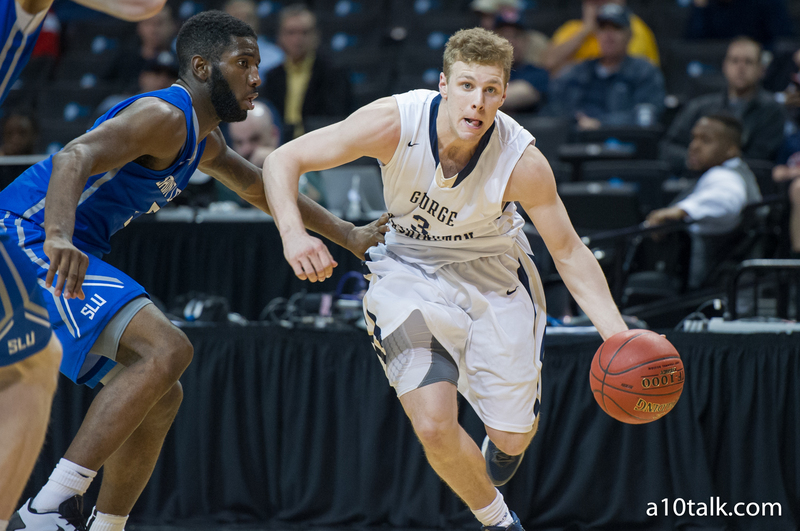 GW’s Paul Jorgensen will transfer, source told @CBSSports. Two years of eligibility remaining. George Washington won its first ever NIT Tournament Championship this past Thursday after falling just short of the NCAA Tournament this season. The Colonials went on a run, beating Hofstra, Monmouth, Florida, San Diego State, and finally Valparaiso to win the title at Madison Square Garden. Jorgensen played limited minutes in the NIT. Senior guards Alex Mitola and Joe McDonald saw the most court time. He averaged 4.9 points, 2.1 assists, and 1.9 rebounds per game this past season with George Washington. His career-high came earlier this year against South Florida where he had 16 points. This news comes at a tough time for head coach Mike Lonergan who will lose a lot in terms of backcourt production. With the upcoming graduation of McDonald and Mitola, Jorgensen would have been the likely candidate to be starting point guard next season. Without him around, the Colonials are going to have to rely on incoming freshman guards to carry much of the load next season. Despite a fantastic finish to this year, George Washington is going to have to reload and get ready for next November.